Straight from Zurich, Switzerland comes the Peacocks! 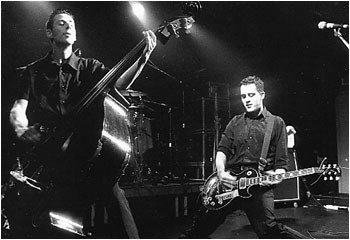 Explosive, psychobilly influenced, stand up bass driven, rock and roll. Think Rev. Horton Heat meets Rocket From The Crypt, meets the Living End.